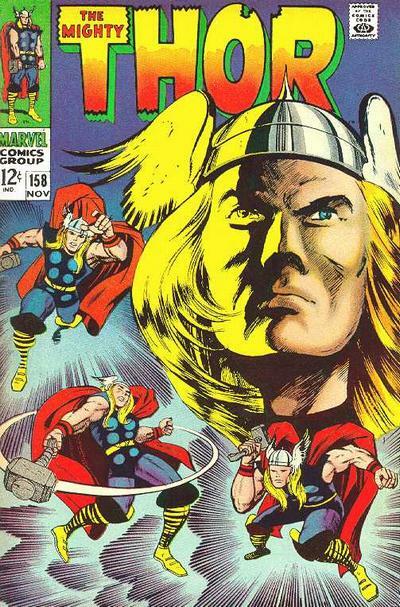 The Mighty Thor has been my favorite Marvel Comics character for the better part of the last half-century. 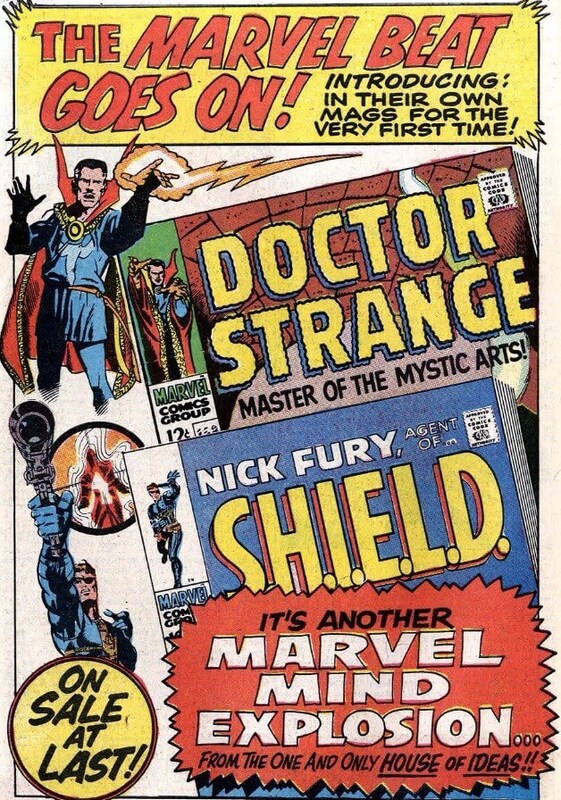 The subject of today’s post is as responsible for that fact as much as is any other single comic book — even though it’s not “really” a Thor comic. 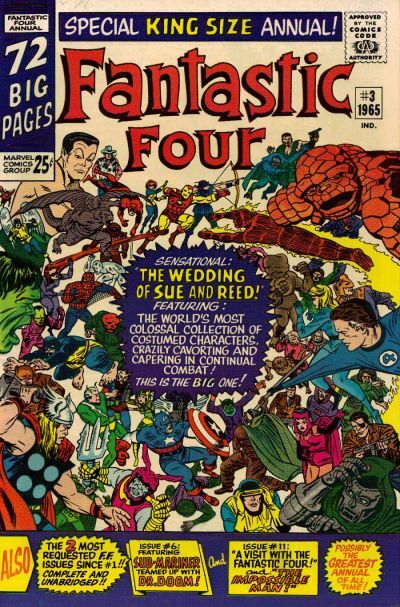 They just don’t make superhero wedding comics* the way they used to. These days, it’s as likely as not that a heavily promoted “wedding issue” will come out and have not a single scene where anything remotely resembling a wedding ceremony occurs. Or, a couple does get married, but it’s a different couple than the one whose marital union the book was supposed to be about. Something of a bait-and-switch going on in both of those cases, if you ask me. Ah, but in the Good Ol’ Days (AKA the Silver Age of Comics), the major funnybook publishers really knew how to celebrate them some nuptials. 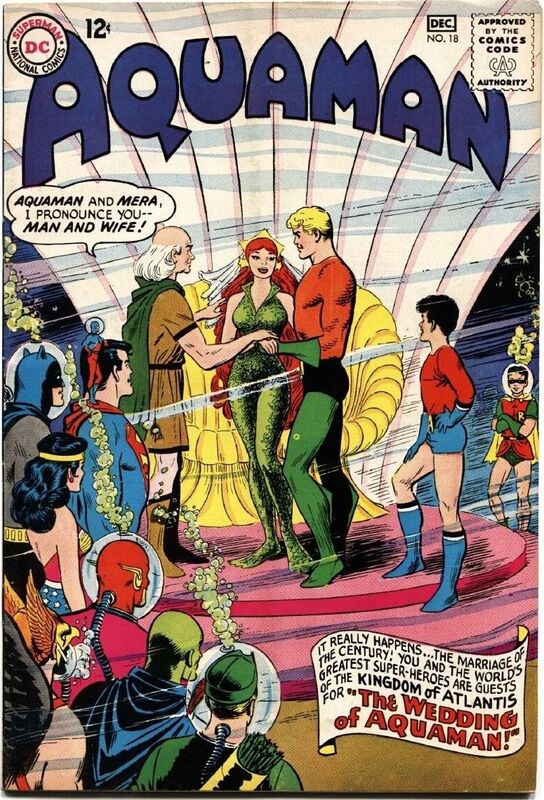 For an example, take Aquaman #18 (Nov.-Dec., 1964), where the whole blamed Justice League of America turns out for the Sea King’s undersea wedding to Mera (bubble helmets thoughtfully provided by the Royal Atlantean Event Planning Committee, I’m sure), Or Fantastic Four Annual #3 (1965), in which not only do all of Reed Richards’ and Sue Storm’s super friends show up, but so do a whole passel of super foes, as well, thanks to the machinations of the diabolical Doctor Doom. Now that’s what I call a wedding to remember. Not a dry (or un-blackened) eye in the house, y’know what i mean?